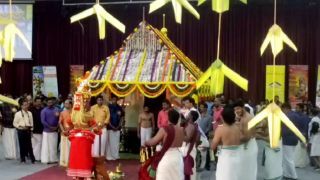 The Puthari Thiruvappana, a festival associated with harvest season of the region, is the annual festival of Parassinikadavu Sree Muthappan Temple in Kannur. The festival starts with the customary rituals at Madamana Illam, on 16th of Malayalam month of Vrischikam (1 0r 2 of December). 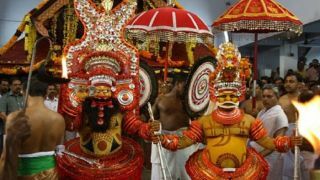 This two days festival will have rituals like “Muthappan Vellattam” performance in the evening and “Kalasam Ezhunnallathu” during the night. On the second day, ‘Muthappan Thiruvappana’ will be held with colourful processions, traditional percussion concert and other cultural programmes. During the festivals, devotees and farmers offer freshly harvested rice crops (puthari) to the Madappura. The festival also has a grand ceremonial feast prepared using the same. The temple, locally known as Parassini Madappura, has many unique rituals and customs that make it stand out from other temples in Kerala. 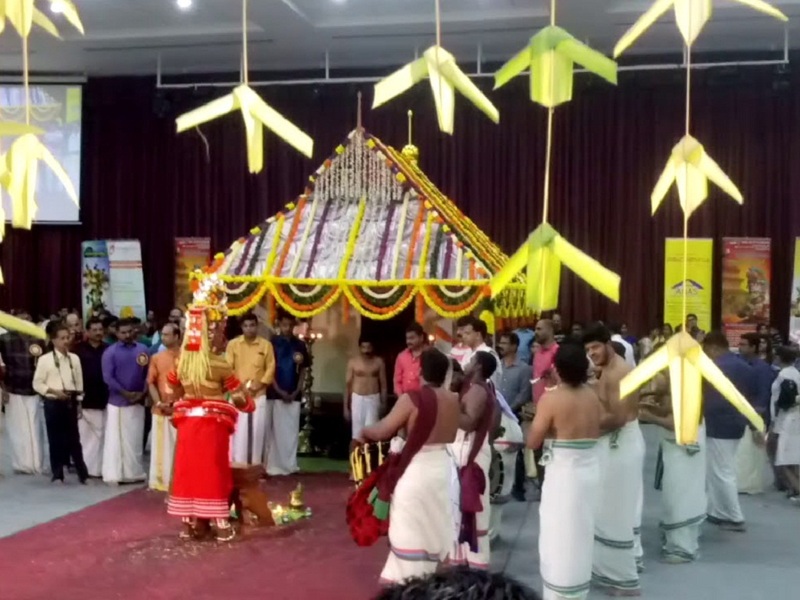 The presiding deity here is Sree Muthappan, a personification of two Gods – Thiruvappana (Lord Vishnu) and Vellatom (Lord Shiva in Kiratha form). 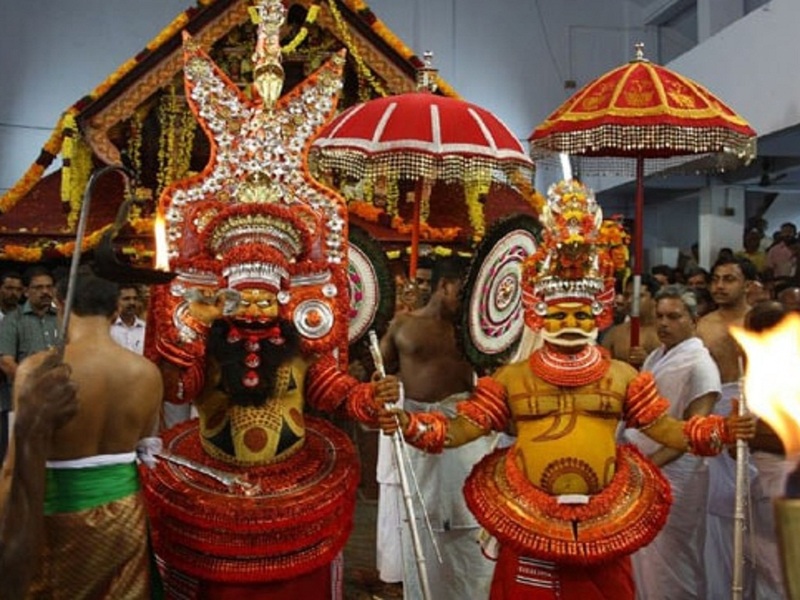 One of the interesting facts is that here dogs are considered to be sacred as it’s the vehicle of Lord Muthappan. The three-storied structure, painted in white, is different from that of traditional temples. The temple has dried fish and toddy as main offerings. Special offerings known as Vehiringadu and Neerkari are also given on auspicious days. It is the only temple in Kerala where daily Theyyam is held as a ritual.